The Kremlin isn’t completely unresponsive to popular opinion, but it won't tolerate dissent that demands radical change. Vladimir Putin has learned to coup-proof his 18-year-old regime without making too many concessions to democratic norms. In a rare address to the nation on Wednesday, dedicated to a highly unpopular pension reform, the Russian president offered a master class in the art of political survival. 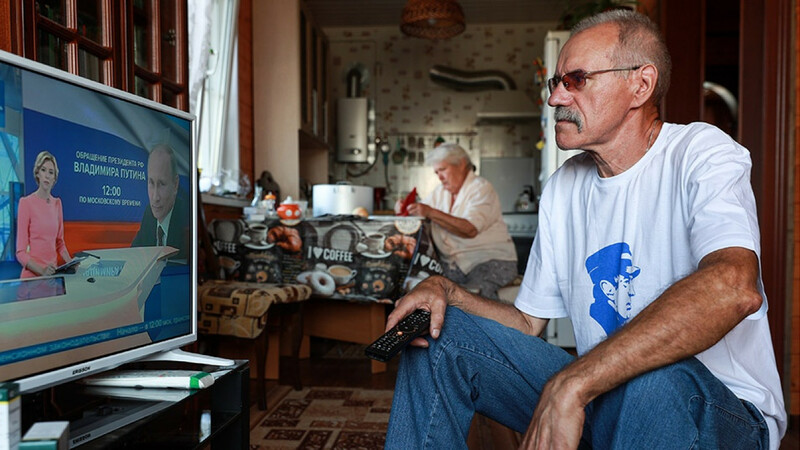 Plans to increase the retirement age to 63 from 55 for women, and to 65 from 60 for men, were announced in June, when Russia was in the grip of World Cup euphoria. Not that it helped: Putin’s ratings, even those published by pro-Kremlin pollsters, dropped sharply. Russia’s fragmented opposition was suddenly handed a winning protest agenda, and some prominent members of the ruling United Russia party and regional leaders rebelled. Having allowed the opposition and rebels time to vent during the holiday season, Putin went on national television on Wednesday to offer a cleverly designed compromise – and, at the same time, to take ownership of an issue he considers important for his policy of ensuring macroeconomic stability and resilience at almost any price. Women have received a concession. For them, the retirement age will only go up to 60, and it will be reduced by a year for those with three children and by two for those with four. Given that 61 percent of Putin’s voters in this year’s presidential election were women, he is clearly playing to his base. Putin took care to respond to those of his opponents’ arguments that were relatively easy to tackle. Many complained that they would likely die before they could retire, since life expectancy in many Russian regions is below the national average of 66 for men and 77 for women. Putin countered with a proposal that will allow women to take early retirement after 37 years in work, compared with 40 years today. Men will be allowed the same after 42 years, down from 45 years. 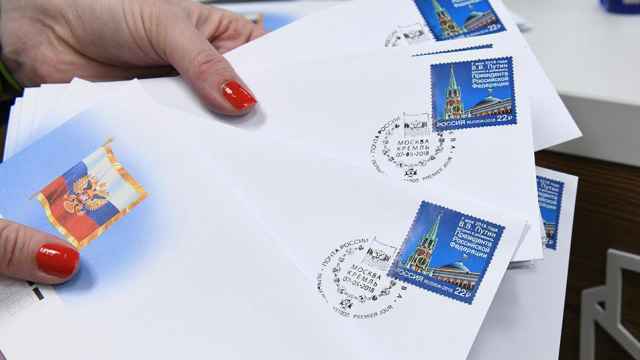 Another widespread complaint was that the reform won't deliver any increases in pension payments, even though the Kremlin dangled that promise to justify the unpopular measure. 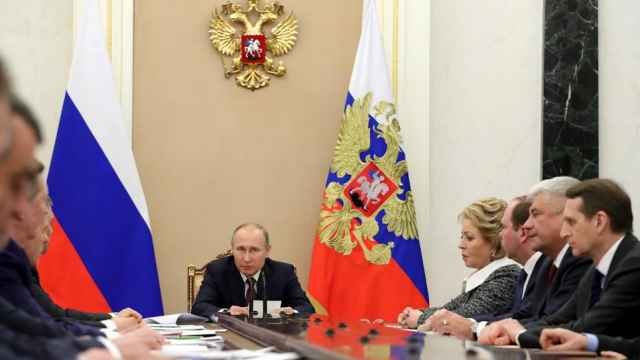 Putin suggested that specific raises – he mentioned boosting the average monthly pension to 20,000 rubles ($294) from the current 14,144 within six years – should be included in the bill now before the Russian parliament. Responding to the often-voiced argument that in Russia, age discrimination is so widespread that it’s almost impossible for people older than 50 to get a job, Putin promised to strengthen anti-discrimination legislation and to ban employers from firing workers who are within five years of retirement – a potentially dangerous state intrusion into the labor market, but also a bone to Putin’s many voters with public sector jobs. The opposition has, of course, demanded more. 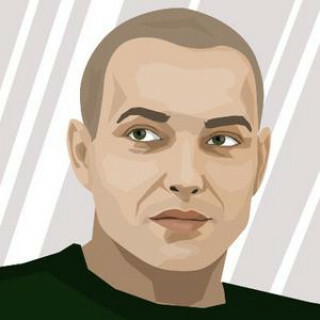 Vladimir Milov, the former deputy energy minister who has allied himself with corruption fighter Alexei Navalny, has argued that increasing the retirement age only makes economic sense within Russia’s current retirement system, in which current workers fund current retirees’ pensions through payroll taxes. As Russia's population rapidly ages, this mechanism requires ever-increasing budget subsidies, which are only possible with high energy prices. On Wednesday, Putin argued that he didn’t want the pension system to be dependent on oil market volatility. Milov, however, proposes a complete overhaul of the pension system: He wants an investment fund modeled after Norway's $1 trillion government pension fund. It would be formed from the Russian government's stakes in state-controlled companies and use its investment income rather than capital to fund the pension system. 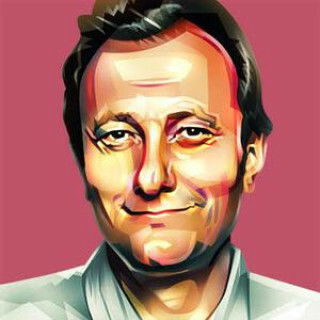 Navalny and his supporters stress that state-owned assets earn too little revenue for the government, and oil income is being spent on mammoth, corruption-ridden projects like the 2014 Sochi Olympics, as well as on foreign wars, while future retirees are being told to tighten their belts. Putin doesn’t have a good answer to these claims, which are, for the most part, true. 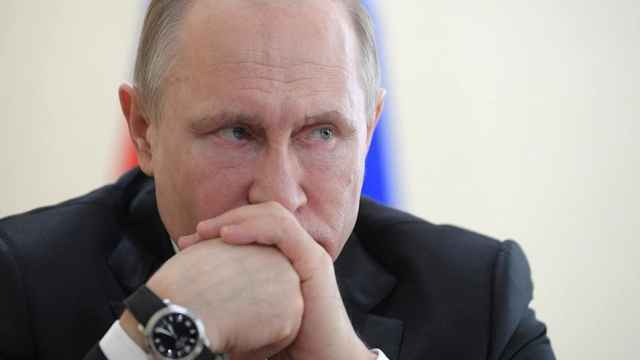 Nor does he have any interest in an overhaul of the way his government runs the Russian economy at a time when the future of energy markets is uncertain and the U.S. is threatening Russia with economic sanctions that may actually bite. Nor did Putin address another of his opponents’ key objections: The reforms won't affect the military and law enforcement officials, who can, in some cases, retire in their thirties. 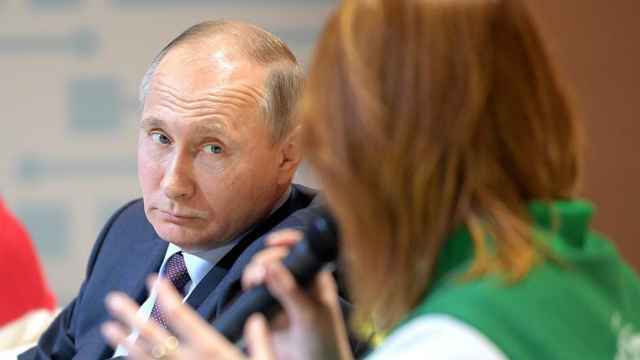 Women may be important to the Russian leader as voters, but the former matter even more for the maintenance of the power system Putin has built. The concessions the president has offered show Russians that he shares their concerns without undermining the economic purpose of the reform. Based on the new retirement ages, the number of pensioners in Russia will reach 37 million in 2035, compared with 42.5 million under the current system. That’s a major financial relief to the government. Politically, meanwhile, the concessions are as important for the suppression of any pension-related protests as Navalny’s imprisonment for 30 days for leading an unsanctioned rally in January. A Moscow court passed a ruling two days before Putin's speech, ensuring the president’s top opponent can’t lead a planned September 9 protest personally. This carrot-and-stick policy should allow Putin to avoid an escalation of protest and head off any challenges to his power from within the Russian elite. His response illustrates how the regime has stuck around for so long: It isn’t completely unresponsive to popular opinion, but it is intolerant of the kind of dissent that demands any kind of radical change and thus presents a threat. This tactic can only stop working once a majority of Russians see change as a necessity, and not just an option pursued by a handful of idealists or self-serving politicians.